Home » News » SOY’s November Newsletter is here! SOY’s November Newsletter is here! SOY is off the the busiest start of the school year yet! 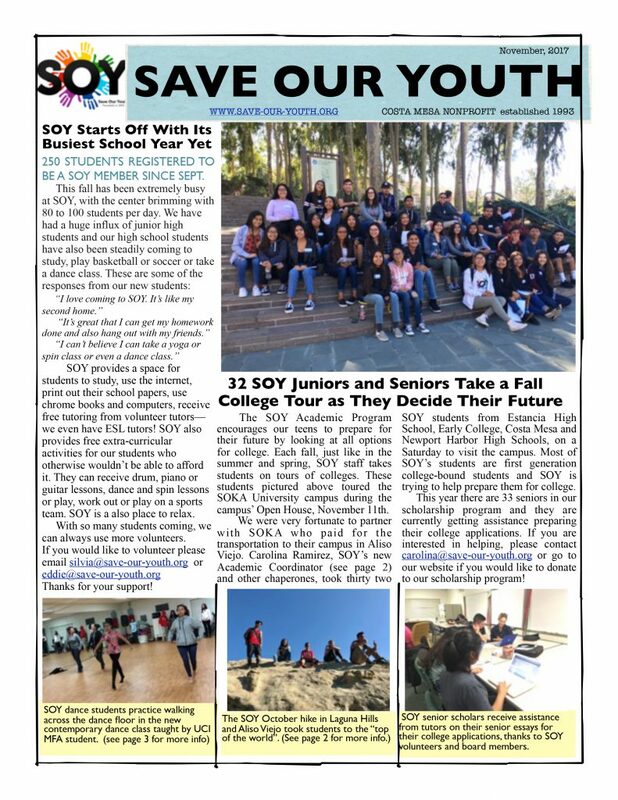 32 Juniors and Seniors take a Fall College Tour, the dance programs expands with help of UCI MFA student, SOY monthly hikes continue strong and healthy, and much more. Read more by checking out our most recent newsletter. If you do not receive our newsletter in the mail go ahead and email us to get your copy sent to your home the next time it is out. SOY Partners up with YMCA for a Summer Camp!